K-pop boy band BTS have started their “BTS Live” concert tour in Asia and their agency have reminded fans to be courteous and follow fan etiquette. “Such attitude of a small number of people can and do cause harm on a lot of people, including BTS members,” the agency said. “BigHit Entertainment takes safety of BTS and fans as number one priority and does its best to secure the safety of BTS members by allocating as many security guards as possible on site. We also politely ask fans to stay safe and to follow the fan etiquettes,” the agency pleaded. BTS arrived on June 8 in Taiwan, the first stop after launching the tour in Seoul last month. 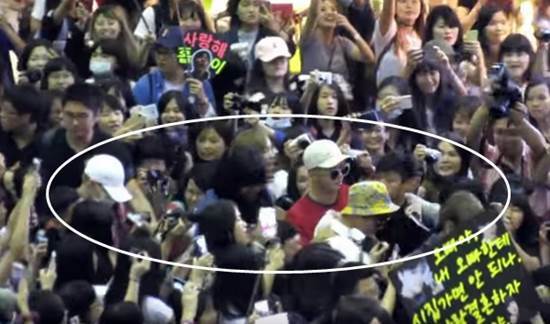 At the airport, BTS members were mobbed by fans who wanted to see and take photos of them. “If any of the incidents on the above list happens, BTS and fans will be affected directly. It will also damage the image and future activities of BTS very seriously,” BigHit reminded. BigHit thanked fans for the cooperation and understanding.